Guys do you Know about Cyber-attack ? 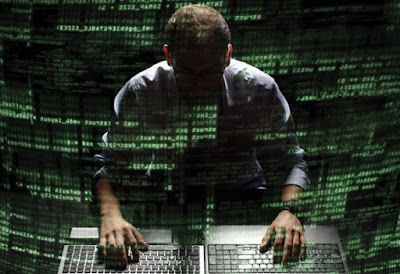 Cyber attack is any type of offensive maneuver (movement) employed by individuals or whole organizations that targets computer information systems, infrastructures, computer networks, and/or personal computer devices by various earnings of malicious acts usually originating from an unidentified source that either steals, alters, or destroys a specified target by hacking into a susceptible system. These can be considered as a Cyber campaign, cyber warfare or cyber terrorism in different context. Cyber-attacks can range from installing spyware on a PC to attempts to destroy the infrastructure of entire nations. Implementing strong passwords is the easiest thing you can do to support your security. Use a combination of capital and lower-case letters, numbers, and symbols, and make it 8 to 12 characters long Don’t use your Birth Date and your address as a password. You should change your password in “every 90 days," but don't hesitate to do it more frequently if your data is highly-sensitive. One suggestion that may seem obvious is to carefully review your credit card statements as soon as you get them. But once a month means it might be 29 days before you notice fake behavior. Set a specific day once a week to review your statement. Unfortunately, there is a constant threat to your personal data like cell phone, wallet, laptop and at home PC, home phone. Take extra precaution in giving information to unwanted callers or sites. Many fraud artists make calls to unwitting consumers and are able to smoothly trick the listener into thinking that they are an authorized vendor. A simple rule: do not provide your passwords or personal information to unwanted callers and sits. When searching new websites, to ensure its security, make sure there is a closed lock symbol at the bottom right of the screen. Web addresses that begin with “https” are generally secure, and if you click on the lock symbol on the bottom right, it will display the same “https” address. Cyber attacks always harm to publics now days terrorist use web for fulfil their evil motives they prepare their plans and share harmful information through web. Some hacker hack the information just for enjoyment mostly people hack information for fun some do it for money and so on. To protect you in this magical virtual world stay alert don’t share your account information with unknown person and any unauthorized of fake site for any competitions. Some companies give professional training in the field of Cyber Security like CSSRL these companies teach trainees or students how to do cyber protection. Increase you’re Business with, CSSRL Global Partnership Initiative to offer best of FranchiseOpportunities to Entrepreneurs and Investors across, to create a Globe Enveloping IT Security Community.